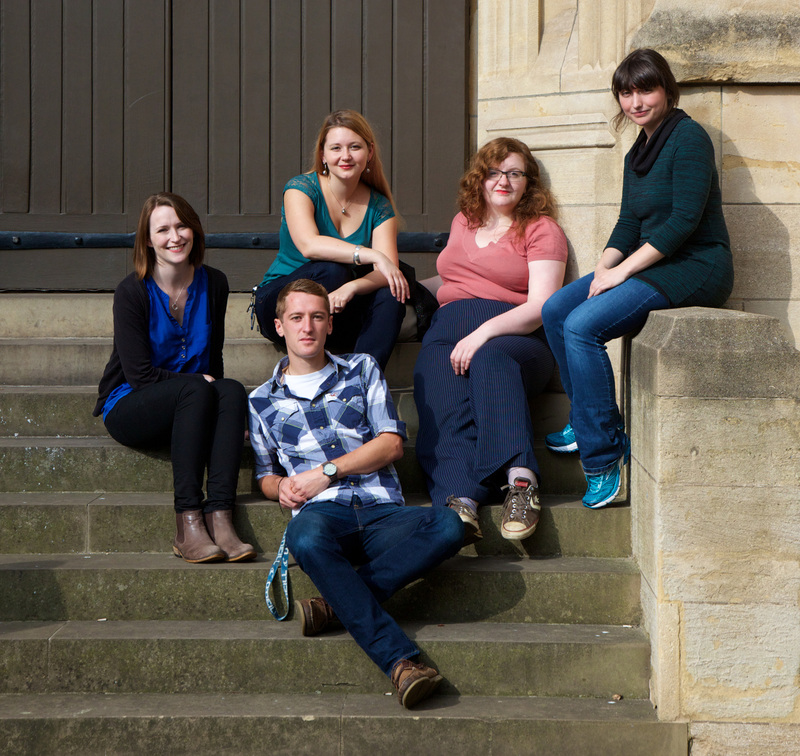 Postgraduate researchers from across the University of Bristol write about their experiences of completing a doctoral degree – the highs, the lows, and everything in-between. Over the course of the past year we have brought together a diverse group of researchers, each completing a doctoral degree across a range of subjects, and at various points in their studies. Each of these researchers have provided unique insights into what completing a PhD is like, as they shared their experiences from week to week. As the ‘Year in the Life of a PhD’ draws to a close, we caught up with some of our researchers to reflect on where they were a year ago and to see how far they have come over the past year. 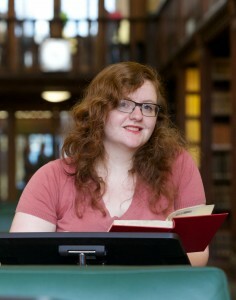 Louise Wingrove, third-year postgraduate researcher in the department of Drama: Theatre, Film and Television. A year ago I was nervously waiting to deliver a my first paper at a conference (which quickly became three conferences!) and was about to start teaching. Although these things were important to me, and I was really looking forward to them, the health problems I was also experiencing at the time and fact that I was approaching my final year did worry me more than I allowed myself to admit. In the last year I have thoroughly enjoying delivering my first conference papers and teaching on my first module. I have seen my writing published for the first time in the wonderful ‘What the Frock book of funny women’ and been offered further writing opportunities. Most importantly, I have learnt to be far kinder to myself and accept my limitations, which has in turn resulted in a massive improvement in my productivity and thesis work. Through writing blog posts and agreeing to collaborate on a play about Jenny Hill for the excellent HIDden Theatre company I have begun to see how my research can be seen by and interest the wider world and, though the obvious concerns of post PhD employment still plague me, I feel excited and hopeful to see what the future holds. Providing I can get the thesis written and handed in of course! A year ago I was just about to submit my thesis, and was more or less at the end of my tether, having a young family, full-time work, and finally, finally, finally getting my PhD to the stage my supervisors were happy with. The year since then has mostly been about passing my viva, working, developing my profile through CPD and publication/impact activities, and applying for jobs. In a way it’s been frustrating because I didn’t know much about post-PhD employability back then but I certainly do now. Then, in the space of three weeks from the end of April this year, we welcomed our baby girl to the world and I was offered a (permanent!!!) job as a Lecturer in Education Studies at Liverpool Hope University. We’re moving house in about six weeks and the new job starts in September! I’ve barely had a chance to draw breath. A year ago I was very worried about my PhD, whether I was doing enough work, was I good enough, etc. But over the past year I’ve really learnt to manage my demons. It really helped reading other people’s blog posts and seeing how they were handling the aspects of the PhD that I found hard! A year ago I was halfway through my PhD with a lot of questions and not many answers. Now I am heading towards the final stages of laboratory-based research, and have started to get some answers that inevitably lead to more questions! At first this was causing me a lot of stress, thinking I’d never be “finished”. Now I realise that’s the nature of novel research – it’s based on exploring interesting questions unearthed by previous work. I’ve still got a way to go before I’m satisfied with the answers I’ve got though! This time last year I was spending long days in the Grad School, preparing my upgrade material and wondering if I would ever see summer. Not only did I get a break but the work paid off. I passed my upgrade before launching myself into a year of new experiences: organising and presenting at conferences, teaching undergraduates, and significantly refining my approach to research. Now I’ve a good few thousand more words under by belt and much greater appreciation for both the range of duties academics cram into their time and my own resourcefulness. Still can’t wait for a summer break though. This time a year ago, I had three half-finished chapters and I was starting to knuckle down for the final slog. I was quite intimidated by the thought of how much I still had to do (both actual science and writing), but I was starting to get a nervous excitement about the prospect of finishing. During the course of the year, I have handed in, successfully defended my thesis, submitted my corrections and I am due to graduate this month. Currently, I am relieved it is all over! A year ago I won the 3MT competition during the turbulent summer of writing my thesis. Final stages of writing coincided with fast-tract realisation that life post-PhD might not be easy. I submitted, defended (no corrections! ), moved cities, went to Canada as a visiting scientist, came back, graduated in February and worked on a new project for a few months still in Bristol. I co-organise (4th year running) a conference for early career researchers in my field – all of it from attracting funding to on the day details – it’s my contribution to the community 🙂 Now I work on my CPD. I enjoyed writing for BDC so much I started my own blog at www.scienceyesorknow.com. In a year, it doesn’t seem like a lot has changed. This time last year, I was working in Japan and now, I’m back there again, trying some new and exciting experiments. The end of the second year of my PhD is drawing worryingly close and sometimes, given the slow nature of research, I find myself wondering what I’ve actually achieved. However, when I attend seminars or look at new experimental set-ups, it’s clear that I’ve actually learnt a huge amount since I started. The challenge for me this coming year is more of the same, keep persevering, learning everything I can and writing things up. This time last year I was scrambling around to gather the data for my final thesis chapter, whilst simultaneously working on the penultimate chapter. I was also lucky enough to take a 6-week study visit at the University of British Columbia in Vancouver, which was the perfect way to escape the rigours of my regular office/email/department and solely focus on my own work. Nine months later I was finished and submitted my thesis. I am now waiting to graduate and working as a postdoc with my PhD supervisor to finish off some side projects and write up some papers. I’ll then be moving to Clermont Ferrand in France to take up a new postdoc position at the University of Blaise Pascal (while frantically searching for the Holy Grail – a permanent position…!). The whole experience has been stressful, exhilarating, exhausting and manic in equal measure. But I’m glad I did it. Just 1 year ago I was in the middle of writing my MSc dissertation, whilst also thinking about applying to do a PhD. It seems like a long time ago now, but also it’s gone really quickly. I can’t quite believe I’ve nearly finished my first year (surely I should have made more progress than this in a year?). I’m currently at the stage of putting together all the documentation I need for my “Progression Review”, what they used to call an Upgrade Report. So I’m grappling with writing up my theoretical framework and methodology, along with a recognition of the ethical implications of an ethnographic study! All this so I can actually begin my fieldwork in time for the lead-in to the 2016 Mayoral election in Bristol. I’ve really enjoyed my first year, there have been ups and downs, but I would expect that. It’s been challenging but also exciting, interesting and thought provoking. I’ve learnt so much in what is actually a short space of time, but I have such a very long way still to go. If anything, my interest and excitement about my research has continued to grow throughout the year and I can’t wait to get started on my fieldwork. 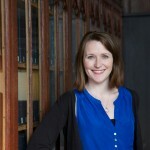 Emily Hicks joined the BDC as Postgraduate Research Data and Partnerships Officer in March 2014, moving internally from the Student Data and Information Team. Before that, she worked in local government. 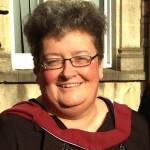 In her BDC role, she produces reports on all aspects of postgraduate research student data and information as well as administering the PRES survey, developing the PGR Directory, supporting the doctoral training partnership portfolio and generally getting involved in lots of different aspects of the BDC’s work. Since joining the University in January 2013, my roles have always meant that I primarily deal with students as numbers in a spreadsheet. Obviously, this is not how I see students: for example a trip to Sainsbury’s at lunchtime definitely reminds me that this is not true! As PGR Data and Partnerships Officer at the BDC, I have been able to look closely at the way students are recorded in the University’s database and create reports to find out more about the make-up of the student body. 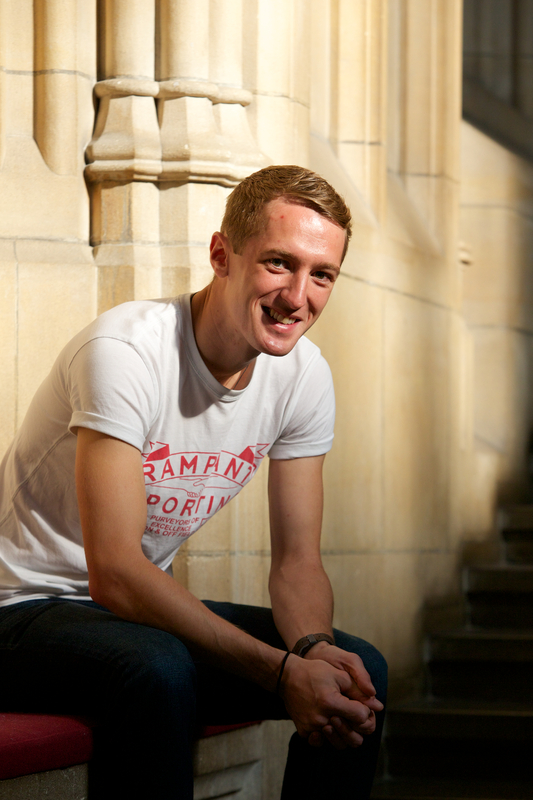 What strikes me is that our postgraduate research student profile is not easy to define in data terms, as there are so many different paths and journeys that you are all going through. The Faculty of Science is the largest faculty with 29% of the student body, following by Social Sciences and Law (22%), Engineering (18%), Arts (13%) and Medical and Veterinary sciences and Medicine and Dentistry (9% each). As much as I enjoy looking at these data snippets, I often find myself thinking about the people behind the numbers. No more so than these past few months where I have been privileged to administer the Postgraduate Research Experience Survey 2015. I say privileged because reading through the comments and results have given me a real insight into the issues, concerns, priorities and feelings that you have. Some of the comments have been really interesting and will shape how I think about the postgraduate research experience. I have not done a PhD myself – I would love to one day – but I feel a responsibility to learn about these issues and ensure that I consider them in all I do – even data reporting. There were so many comments about finding a sense of community, and looking to network academically or interact socially outside of usual research group or school. Bristol Doctoral College recognises this and it has been great to attend recent events such as the Festival of Postgraduate Research and the 3MT where students from all across the university could interact together. This upcoming year is going to be very different for me as I am going on maternity leave at the end of July. This is an exciting, new challenge in my own life and career path. It got me wondering how many postgraduate research students also have children at home – or how many are expecting a baby throughout their studies? This may seem like a thought in the distant future for many of you, but for a number of students balancing books and babies is the norm. Despite the wealth of data available to me, sadly I am unable to get a percentage figure of the number of PGR parents we have at the University of Bristol. Rather than just sit and wonder quietly to myself, I wanted to do something. What started with a small notice in the BDC Bulletin asking if there are any parents out there who may want to get together, now has become a ‘Google Group’. Its aim is to bring together postgraduate research students who have children: mothers, fathers, expectant parents or even those just thinking about it. It is still early days and there is a lot of potential for it to grow. Anyone can join the group and post useful tips, ask advice and arrange get-togethers. I see this as your group – I just happened to have set it up. It seems clear that everyone’s experience can vary from faculty to faculty, so having a shared forum will hopefully mean that you can get some friendly advice from those who have gone through a similar time. 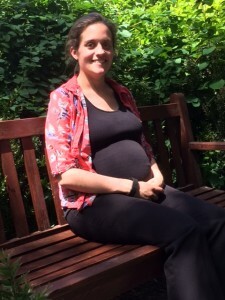 One of the things I have achieved, working with the Equality and Diversity team, is widening Maternity Connections to PGR students. This is an initiative whereby staff, and now PGR students, can contact those who are prepared to share their experience of life as a working parent. There are some academics, breastfeeding experts, as well as professional staff who have undertaken postgraduate research study involved as well. This has only recently been opened to PGR students and I hope this can be a useful source of information for you if you wish to use it. If you are curious, then please request to join and hopefully this will continue to grow and develop. So, as I approach my final few weeks before maternity leave, I would like to say thanks to the Bristol Doctoral Team for being great colleagues, and good luck to everyone for the next academic year. Tessa Coombes is a first year postgraduate researcher in the School for Policy Studies. 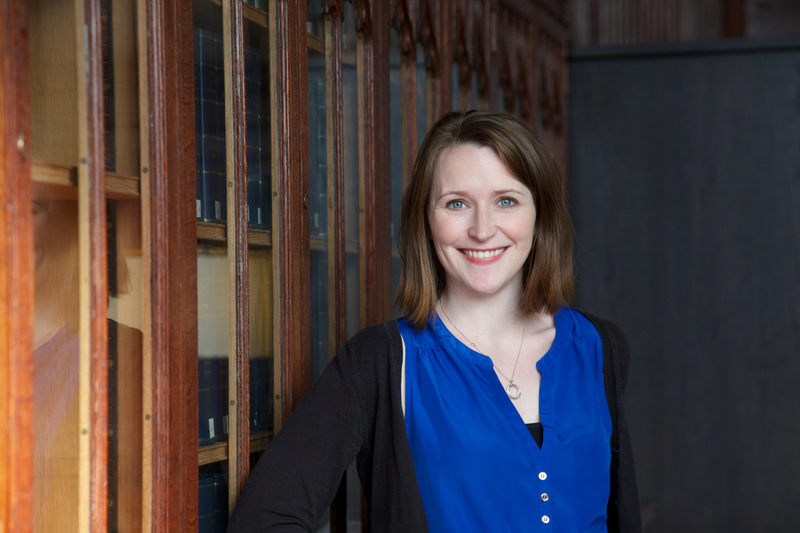 Her research will explore housing policy and agenda setting during the Bristol Mayoral election next year. The research stems form a desire to develop a better understanding of the role local elections and new models of local governance have on framing policy agendas. I’ve always enjoyed writing, even if I don’t always do it well. I find it a creative process, that brings to life all those thoughts and ideas, commentary and debate that whirl around in my head, but frequently have no real outlet. Writing has been a part of every job I’ve had, in different ways and for very different audiences. I’ve had to adapt and develop my own style to respond to the demands of others, and to work to other people’s deadlines that often serve to stifle my own creative process. But, nonetheless, I enjoy writing. I write for fun and have my own blog. I also write contributions to local news websites and magazines, such as Bristol 24-7 and The Bristol Cable, and for the professional press like the Planner Magazine. All of these provide an opportunity to write about things of interest to me, sometimes related to my research but often not, where I can freely express my opinion. That’s part of the fun of writing. Over the last couple of years I have had to get used to a different kind of writing, one that is more controlled and evidenced, that fits with particular conventions. Last year, when doing an MSc, back in the academic world for the first time in over 20 years, I had to complete formal assignments and a dissertation. This involved a form of writing that was entirely different to anything I have done in a long time. Then this year, embarking on my PhD, I have once more had to develop my style further into academia, a style change I find both challenging and rewarding. Challenging because my inclination is to keep things simple, use simple language and keep away from jargon. Rewarding because when it works and I can combine simplicity with complexity there is a real feeling of achievement. My approach to writing is to see it as a creative output, something that occurs naturally for me in response to learning. After all, what’s the point of all that learning if you can’t share it with other people? A blank page, for me, is an opportunity to articulate and share, rather than something to be scared of. Writing is like creating a painting, there are different layers that are needed to build the picture, which on their own make little sense, but together they can evolve into something worthwhile, a masterpiece that others will enjoy. I view writing my PhD in a similar way. There are layers that I will write at different times, continuously throughout the process, that need to come together into a coherent story at the end. There’s a complexity to this writing process, in terms of debate and argument, analysis and detail. But there’s also a simplicity about it, where carefully crafted pure and simple arguments can be brought together into quite a simple story. A story that will grab the readers attention, and will slowly but surely take them through the complexity in a way that makes sense. In a way that brings them to your conclusions with a sense of understanding and agreement. There’s lots of advice to students about how to write, much of which suggests you set yourself a daily writing target, which you then stick to no matter what. I can see why the discipline of this is important and why it must work for many people, but I’ve tried this approach and for me the writing that comes from it is stifled, boring and constrained. If I’m not in the mood to write, then forcing myself to write just doesn’t work. I’ve written assignments like that and when I go back to read them I can tell that it was forced rather than creative thoughts that made up the report or essay. The work is dull and it’s lacking in energy, even if the points made are the right ones, the style is very different. I prefer an approach that feels more creative, one that has routine, but is based on my preferences, rather than someone else’s (there’s a good discussion here on creating routine when writing, drawing on the work of Ronald Kellog). When I first begin the process of writing something new I try to avoid the clutter and distraction of notes generated from my reading. I start with a blank page. I then try to form my thoughts on what I have read into a short discussion of key arguments, issues and themes. I do this without the clutter of referencing and acknowledging who said what and how. I do it from memory, from thoughts that occur to me from reading my notes and I do it when I am feeling creative and able to write fluidly. For me this works, most of the time! Of course, sometimes the creativity is just not there, it’s beyond my grasp, I can’t think where to start or how to structure my thoughts. I’ve come to recognise those times and instead I do something else with my time, like more reading, organising files, and literature searching. All the time continually mulling over the story I want to tell and trying to work out how I can construct it. I may also use this thinking and reflecting time to write something else, something less constrained, where I can write freely without the confines of academic convention – something like a blog maybe! Eventually, often after much reflection, I am ready to write and can go back to the writing that needs to be done. The challenge of writing is an integral part of any PhD. The only advice I have on writing is to do what works for you, try different approaches and look back on what’s worked when you’ve written things before. But above all, enjoy it, it’s a precious opportunity to express yourself, articulate your thoughts and tell the story of your PhD for others to enjoy. James Hickey recently completed his PhD in the School of Earth Sciences. His research focused on unravelling the mechanisms that cause volcanoes to become restless prior to eruptions. Ultimately, the aim is to improve our understanding of precursory signals to enhance forecasting and mitigation efforts. It’s been a long and winding road, but I’ve reached the final hurdle – minor post-viva corrections. So while everything is still fresh (or permanently etched into my mind!) I thought I would share some of my thoughts on the thesis write-up and viva process. I didn’t have a long write-up period at the end of my studies – I started writing in my first year, and continued to write throughout in the form of a series of papers. I think this helped keep me slightly saner at the end of the 3.5 years, but don’t get me wrong; the last few months still weren’t easy! My supervisor was very proactive from the start at getting me to think of my work in terms of publications, and this soon bore fruition. I managed to publish 3 papers before I started writing my thesis proper, with my fourth and final science chapter/study now currently in prep for publication. When it came to the piecing together of my actual thesis I made sure I was being as efficient as possible with my time. As I still had a few models to run for my final science chapter, I used this time to simultaneously start formatting my thesis. I used LaTeX for this, which has numerous advantages over something like Microsoft Word – this could be a blog post in itself, so I won’t go into it here. But if you are thinking of using LaTeX I’ve made my thesis template freely available online, and it meets all of the University of Bristol rules and regulations (as far as I’m aware). My viva came a month and a half after my thesis hand-in. A few days before I got ‘the fear’ – something I’ve not felt since I sat my (somewhat underprepared) undergraduate exams. I had spent most of my time trying to write a paper that my viva crept up on me, leaving me with just two days either side of a wedding weekend to ‘prepare’. Naturally I googled ‘viva prep’, which mostly suggested a week or so of going through potential questions and preparing answers. I instead used my time to read through my entire thesis, and think about it in a critical way; assessing where it could be improved and how it fits into the broader scientific picture I was addressing. Going into my viva I was hoping that the 3 published papers in my thesis would be mostly free from the examiners onslaught. I was wrong. My two examiners went through my thesis from cover to cover and picked everything apart: “why did you do this?”, “why did you choose this value?”, “why didn’t you do this?”, “I don’t really like this”, “you could have done this”, “why didn’t you do this?” (again). It’s like they don’t know that we’re mostly scrambling to get the thesis finished in as close to the 3 or 3.5 years of funding we are afforded (with 4 being more like the normal PhD timeframe in my department these days). I know some people say they enjoy their viva, but I was unfortunately not one of them – 2.5 hours with next to no positive comments for the amount of work put in was somewhat demoralising (and also slightly off-putting of a future career in academia). Maybe this would have been a better approach. Image credit: XKCD. I eventually emerged victorious (yay! ), to bountiful cheese, wine, olives and Jagermeister – subject to minor revisions that is. If only the post-viva period was like a paper review and I could write back with my rebuttal arguments for the points where I couldn’t think of them during the viva. Oh well. I was also asked to lengthen my conclusions and methods chapters (boo!). I still don’t understand why, and I probably never will, especially as only the internal examiner and myself will ever see them. Regardless, I’ll look back on my PhD journey as a positive one. I have improved myself in many ways, met some amazing people, and travelled to some incredible places. I will also be able to address myself as Dr if I so please. To anyone nearing the end – hang in there. It may not seem like it right now, but it will all be worth it. A good viva celebration makes it all worthwhile. Image credit: Fabian Wadsworth. 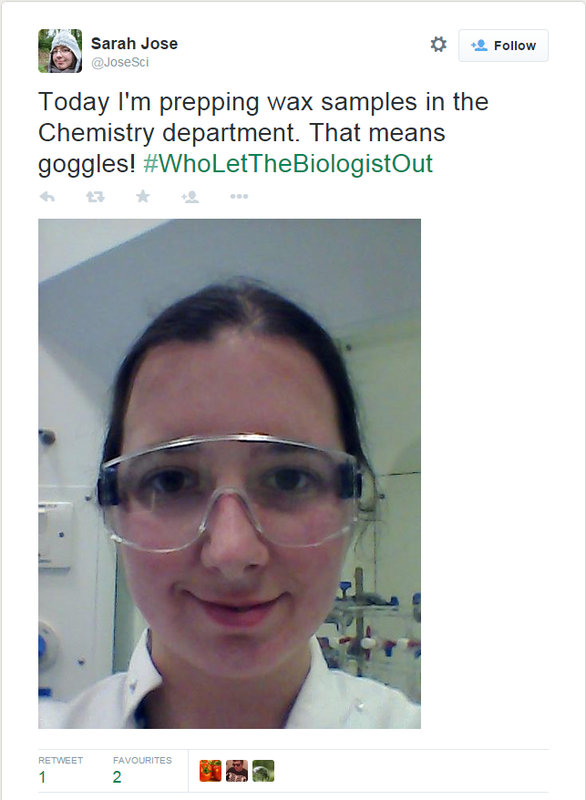 Rebecca Ingle is a second year PhD student in the Bristol Laser Group in the School of Chemistry. 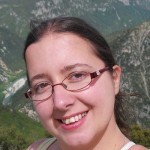 Her research involves studying photodissociation dynamics in both the gas and solution phase using a combination of laser experiments and computational chemistry methods. Avid followers of Chemistry’s ‘Friday Good News’ might know that it has been a rather busy week for the Bristol Laser Group, with three PhD vivas in two days. Apparently, the book of Guinness World Records doesn’t have an entry for ‘most PhD vivas completed in a week,’ but I suspect we’d be in the running for the record. Vivas mark the end of the huge amount of work involved in a PhD and are strange times for everyone involved. For the candidates, there is the whole gamut of emotions, from the terrifying pre-viva wait to the exhausted relief when it is all over. For the older PhD students, it is an uncomfortable reminder of data that has yet to be collected and experiments that are yet to work. 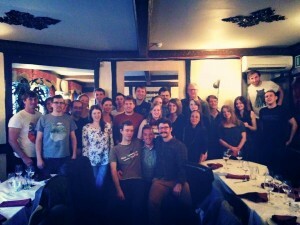 As well as being a celebratory time, it is often a sad goodbye to colleagues. Sometimes academia can feel a bit like a revolving door of new colleagues and contacts. New students roll through the doors in September, the Master’s students disappear in May and throughout the year, both PhDs and postdocs move onto pastures new. Both friends and collaborators tend to live at the opposite end of the country (if you’re lucky) or even on different continents. As part of a PhD, you will end up meeting an overwhelming number of people and it quickly becomes impractical to keep in contact with most of them. I’ve met so many people over the last 18 months that I’m surprised I can remember half their names. To avoid this, a lot of networking courses recommend keeping a ‘Stalker Book’ (not the phrase they use). You use this to keep note of everyone you meet on the conference circuit, as well as various details about them. To me, this sounds rather creepy but the idea of this circumvents the embarrassing situation where you meet someone who knows you and your research well but you have no idea who they are, which has thankfully only happened to me once. Email is a wonderful thing for keeping in touch in the modern era of mobility and conferences will become a great time for catching up with others in your field. Generally I find most people in academia understand that a quarterly email and biennial visit is the foundation of a solid friendship. Don’t be surprised, though, if any social correspondence continually ends up being prefaced with ‘I’m sorry for the late reply but…’ though do be warned, these tactics may not work so well on family members. Congratulations to our three new doctors! Dominika Bijoś recently received her PhD in Physiology and Pharmacology. She studied smooth muscle contraction and examined how other cell types influence it in bladder tissue and in the whole organ. 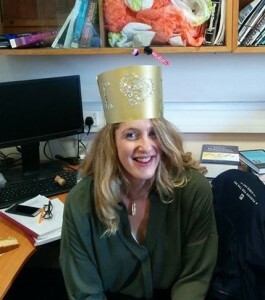 Initially, she used molecular and cell biology techniques, but spent last year watching and analysing moving bladders and the conclusion was – they dance the samba! Whether you are at the beginning of your PhD journey or finishing up, remember: never be JUST a PhD student. I’m speaking from experience. Throughout my PhD journey I hated that pitiful statement: “oh, you are just a PhD student”. Out of this frustration two things came out: I became MORE than a PhD student and I realized you should never let yourself be JUST a PhD student. First are friends and family, who attribute the word STUDENT to a NON-REAL profession. I had to explain that I work usually more than 35h a week, sometimes during the weekends and I am a real member of the workforce. I convinced friends that my job is to research how and why X works and why it is important for real life application. To make sure you are taken seriously by the general public might be the easier task of the two. The second group who will call you JUST a PhD student (in my experience) are SOME fellow scholars. They might not realize it or (rarely) do they do it on purpose, but some will treat you as a lower level worker due to your lack of experience. Without PhD students, research would have gone nowhere. Sometimes being JUST a PhD student means that your problems are considered less important. I have asked my share of questions that showed I lack the deep understanding of the subject, but also a share which were dismissed just because I asked them. The philosophy doctorate doesn’t write itself on OLD stuff. You need new discovery and discussion to get it. And I suspect that at times, more experienced members of scholar family might JUST not remember that. NEVER get discouraged by that. It might sneak up on you that you become an expert as colleagues ask your opinion more and more, but for me it was a breakthrough. I visited a group in Canada (like Rebecca, I escaped MY lab). In Toronto, my task was to teach a technique my PhD was based on. I soon realized that for them I was never JUST a PhD student. I was the expert of the technique. On top of that, I was a new but experienced perspective, so they asked my opinion on everything from how I design an experiment to how I present the results. It was my experiment so I knew what I was talking about, just the confidence part was new. I designed the experiment, conducted it, taught other researchers, analysed the data etc. It was a breakthrough in my perception of my PhD life. I definitely became more than JUST a PhD student. Just a PhD? – never! On top of science and technical know-how, this experience made me realize you should never let yourself be JUST a PhD student. In the process of your PhD you will become the expert scholar on the topic, but you should challenge yourself to be a good researcher and do all things that come with it: communicate, write, network…explore all the unexpected benefits of the PhD life. You can call it enhancement of your transferable skills, the continuous professional development or whatever you want, but identify where you can improve and act. Whatever your passion or inclination do other good in the world outside of your research topic: be a leader of a hockey team, play cello, organize a conference for your fellows, write a blog, start a journal club, start sewing, learn Spanish, pursue a project outside the lab and improve there. What I did? Well, first I got totally down with being JUST a PhD student. And on top, I felt guilty for always not doing enough research (sounds familiar?). But then I realized that I had founded a society for those in my field, advocate for open access publishing, and mentor others. 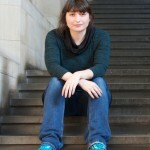 I took part in the 3MT Bristol Competition (great fun, do it!). All not quite strictly research, but all making me a bit more than just a PhD student. Why it matters? Because after a PhD is said and done, in (like Richard) or outside of academic research, you want this experience to make you more than just a PhD student. Passion, excellence, self improvement and constant growth is what makes you more than just a student. It gives you the PhD. 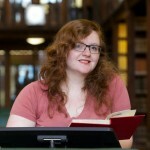 Rhiannon Easterbrook is a second-year PhD candidate in the Department of Classics and Ancient History. 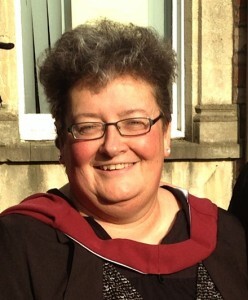 Having gained degrees from Cambridge and UCL, she took a few years out to work but is delighted to be back in academia. 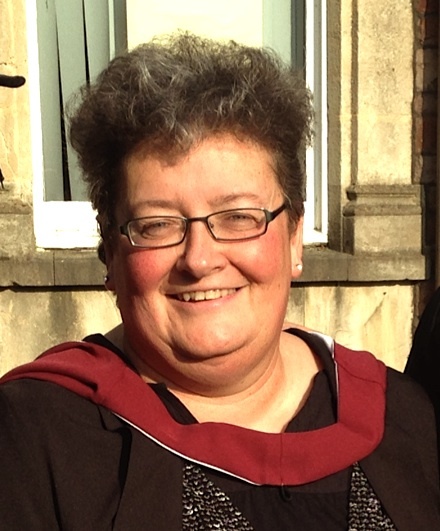 Her work is on classical reception in performance and performativity in Britain, 1895-1914. She is interested in how the Edwardians used ideas from the ancient world to think about embodiment, gender, and sexuality. I read Not for Profit: Why Democracy Needs the Humanities by Martha Nussbaum back in 2011. At the time, we were looking towards the increase in tuition fees to £9000 and the drastic cuts to teaching grants for arts and humanities degrees. While I didn’t agree with every word in the book, Nussbaum’s impassioned argument in defence of the humanities as a vital component in the education of democratic citizens inspired me. It can come as no surprise that, as a Classics student, I have a long-held belief in the benefit of humanities degrees: as an undergrad, I was challenged to develop my analytical skills to be as rigorous as possible, exposed to different ways of experiencing and understanding the world, and driven to re-evaluate what it means to be human. As far as I can see, all three of these outcomes have a political implication: how do we process the information about policies and politicians presented to us? In a heterogeneous group, what kinds of differing perspectives must we accommodate? If we are entitled to certain rights based on being members of humanity, then what does that say about being human and who gets to decide? It was unquestionable to me that studying a humanities degree was not just personal choice but a deeply political one. But, if studying for a humanities degree is a political choice, then why have I spent so much of my PhD so far feeling like I was failing as a political animal? When climate change is an ever-present threat, conflict rages across the world and hundreds of thousands of people are using food banks in this country, studying for an advanced research degree about some classical-ish plays put on a century ago can feel at times like an indulgence and that I should somehow be going out and helping change the world. Plus, having to juggle so many different commitments in order to stay afloat and work towards my intended career requires a great deal of attention. (I’m aware I’ve complained about this on the blog before). Staying focused on research and worrying about income are not necessarily conducive to staying politically active and tuned in. It also doesn’t help that the classic imposter syndrome – the plague of so many PhD students – has come along and infected this part of my life too, leaving me feeling that there is always someone else better qualified and informed to talk about the issues of the day. Yet at the same time, I have been much more conscious of how my work as a scholar reflects my political and social interests. Feminism has been extremely important to me since my teens. In the last few years, I have begun the process of reassessing my stance on several issues and have developed an interest in intersectional feminism. This has led to the conscious incorporation of intersectional feminist analysis in my research. Now this has come full circle and I am ploughing what I learned in theory back into practice. Along with a group of excellent colleagues, I am working towards establishing a society for women Classicists. An awareness of intersecting oppressions has meant that we advocated establishing positions on the committee for other minorities: people who experience oppression as women, whether they’re disabled, LGBTQIA or BME, all deserve attention paid to their specific experiences and we all need to develop our understanding of where we may be a bit more privileged. While this only a small step in a society which is riven with so many inequalities, I hope that I can begin to do my bit. Part of this is about reaching out and keeping discussions going. I am honoured to know so many thoughtful, insightful people – including a considerable number of brilliant women who offer mutual support and advice – people whom I would never have met had I not started my PhD. Whether I’m marching with them at Reclaim the Night or chatting about our theses in the pub, this community inspires me to be a better person and a better researcher. As the future of the Human Rights Act looks uncertain questions of what it means to be human may gain more attention. But as I think again about the humanities and their role in this discussion, it is now clear to me that it’s not just why we do the humanities that’s important, it’s how we do them. It’s about re-evaluating our own subject-positions and how they influence our research, remembering that there is no neutral position. It’s about the voices we privilege and the voices we sideline. How often is it acceptable to have all-male panels, for example? Do we make our work and teaching accessible? We all have to live and right now, I have chosen to live as a researcher. However, that does not mean that I’m isolated from what happens outside the Graduate School. I’m beginning to see more and more how, while academia might feel like part of a strange bubble, it’s really part of a much wider community, capable of reproducing social problems and able to speak in dialogue with different parts of society, like any other sector. It could well be that very few people will ever read my thesis but I know that I can take what I learned me as I go through the world. Sarah Jose is third-year postgraduate researcher in plant science. Her research focuses on how plants limit water loss by producing a waterproof coating and pores that can close to prevent water from leaving the leaf. She spends a lot of time looking down the microscope at nail varnish impressions of leaves! Think Twitter is for keeping up to date with the latest from Taylor Swift and One Direction? Think again! Twitter can be a quality tool for networking, keeping up to date with the latest news in your academic field and more! Read on to see how you can use Twitter to your advantage. Use Twitter to keep up to date and get involved in your research community. I’m going to assume a basic understanding of Twitter here, so if you need an introduction to the topic then check out Twitter’s guide for beginners. To make the most of Twitter as a PhD student, you’ll need to set up a reasonably professional account. The odd tweet about your cat is fine, but if the majority of your tweets are about your life as a #belieber or how many pints you can drink before you fall into the Floating Harbour then consider creating a new account. Check out this guide for more information. 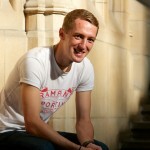 Why should PhD students use Twitter? By selecting who you follow, you create a personalised news feed that you can access whenever you like. Don’t feel intimidated if your feed contains more information than you can ever get round to reading. The most important news will be retweeted or reposted several times, and by checking out the main hashtags for your field (e.g. #plantsci for plant biology!) you can keep up to date with the latest trends in just a few minutes a day. How do you find the most interesting people to follow? Try adding researchers you met at conferences or those whose work overlaps with your own. For publication news, follow some of the important journals in your field, or some of the major organisations, for example if you’re a scientist you might follow the Royal Society (@royalsociety). If you’re just starting out, look at who your colleagues or collaborators are following and choose some of those accounts. I use Twitter as my main source of science news, and it takes far less time than trawling through news sites, blogs and the journal news sites. You will likely also come across funding opportunities that you could apply for to travel to conferences or organise an event. One of the great things about Twitter is the sense of community. When you start to get involved in online discussions, you’ll realise that even the biggest names in your field are just real people – almost everyone is happy to talk to PhD students and share advice. Just make sure you’re using your community’s hashtag so that others are more likely to see your tweets! Getting involved in the community can also be great for your career. You’re getting your name out there, and can promote your own research and any publications you might have. There’s some debate about whether or not Twitter mentions can influence the number of citations your paper will receive, but any potential extra exposure can’t be a bad thing. Catching the eye of a potential new employer can’t hurt either! You’ve got 140 characters to play with in a tweet. Images take up 23 characters, but are worth including where available as they increase your tweet’s visibility and almost double the likelihood of it being retweeted. Make sure you keep your content balanced; tweeting about your own work is great, but promoting others is just as valuable and will get you noticed. Be aware, though, that an account full of retweets and no original content will not attract many followers as it looks like you have no interesting ideas of your own. Don’t just follow thousands of people in the hope of getting reciprocal followers. Those who do this will not be interested in your content, plus your news feed will be overflowing with more information than you could ever hope to read. Your work. Got any interesting research methods or findings, publications etc.? You could even link to a poster you made or a presentation you’ve given and uploaded to SlideShare, assuming you have your supervisor’s consent! You could tweet a day in your life using the hashtag #brisphdlife. Publicise an event or article that’s caught your attention, with a comment about why it appeals to you personally. Make sure you use hashtags and @ mentions so that more people will see it! Ask a question. If it’s about PhD life, try #phdchat. If you have a question about a particular paper, find out if the author is on Twitter and then ask them directly. It’ll make you stand out and they’ll appreciate the chance to talk about their work. A note about live tweeting conferences: There has been a lot of debate online about whether or not people should live tweet at conferences. My advice is that tweeting the title of the talk, general comments about the field and previously published results are fine, but DO NOT tweet results that are unpublished. Read this great post for more information. Don’t overdo the live tweeting anyway. Followers who aren’t interested in the conference will probably unfollow you rather than scrolling through 50 posts about the minutiae of the event. Madeline Burke is a third-year postgraduate researcher in the department of Cellular and Molecular Medicine. 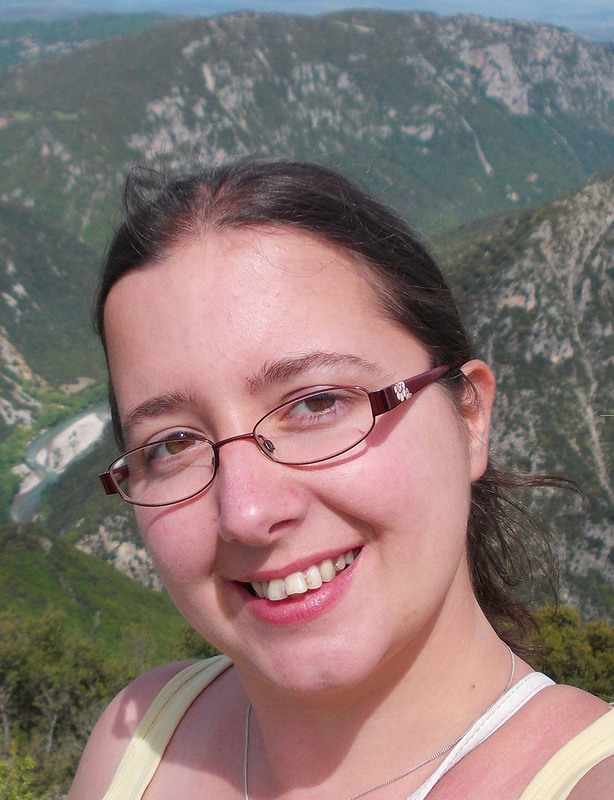 Madeline did her undergraduate degree in Mechanical Engineering before switching disciplines when she started a PhD with the Bristol Centre for Functional Nanomaterials (BCFN). 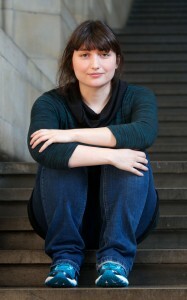 She is currently building a 3D bio-printer that can create human tissue by printing stem cells. Madeline’s research is interdisciplinary, using concepts from chemistry, cell biology and engineering, to design matrices for stem cells that not only support the cells, but cause them to grow into desired tissue such as cartilage. 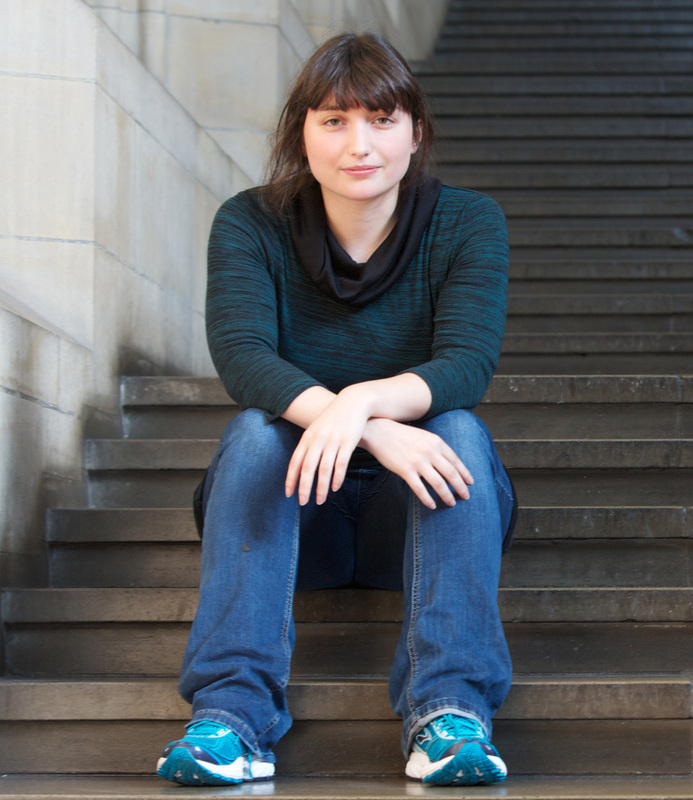 Most of her time is spent in the lab, designing new experiments and building her 3D printer. As a PhD student I’m always worrying. I worry that I’m not doing enough work, that I should be getting in earlier, that I should be working “smarter”, that my experiments aren’t working, that I must be doing something wrong because they should be working by now…you get the point. Sometime during my first year I thought to myself ‘there must be other researchers out there who are worrying about the same things that I do’. Like all good researchers who don’t know the answer to a question I turned to Google to see if I was right, if there were other students out there who were worrying as much as I was about everything PhD related. Much to my relief I came across a whole host of blogs dedicated to people that felt exactly the same as I did! PhD students who weren’t sure research was for them, students who loved researching but had an unshakeable feeling that they weren’t good enough, students who were questioning why they were doing a PhD. It was an amazing feeling – I wasn’t alone! Other people were having the same problems as me, but even better, they had advice for how to deal with these problems. I found one blog dedicated to writing a thesis in three months, I found another on how to deal with a difficult supervisor (not that my supervisor is difficult I would like to point out!) and another on finding jobs outside research after your PhD has ended. I found more blogs then I could mention, written by struggling PhD students on their experiences in research and academia. These blogs all helped me to make more sense of my PhD. I could relate to what other people wrote and look up ways of coping with PhD stress and expectation. I started to realise that sometimes I enjoyed reading these blogs more than I enjoyed my PhD, but still I did nothing about these feelings – I just got on with my research while moaning to everyone around me who would listen. After going through a particularly bad spell of results a few weeks ago and really questioning whether this was what I wanted to do with my life, a friend approached me and told me about a media course run by Sense about Science, a London based charity whose aim is to equip people to make sense of science and evidence. I have been on a few media courses before, including one very enjoyable course run by Imperial, but this was different. We got to quiz a panel made up of both researchers and journalists on their experiences with science and the media, including (to name a few) an assistant news editor at Nature, an Infectious Disease Epidemiologist in the World Health Organisation and a freelance journalist who writes about the science behind the beauty industry. We were told not to be afraid of the media when it comes to our research – by doing a PhD we will automatically know more than most people about our fields and we shouldn’t be afraid of using the media to promote our research. A valid point. I, for one, would worry that my opinion was not ‘expert’ enough. The panel also advised having three points and sticking to them – even if that’s not what they have asked you – a good point for any form of communication, really. I left wondering if that would work in a viva! The journalists shared how they put a story together, including what they would need from scientists. For example, they need someone who would be readily available to give a quote and that the quote would be easy to understand. Finally, the day was rounded off with a Research Media Officer giving us some tips on how to get involved in science communication. One of the common themes of the day was to get involved and make your voice heard. We were told unequivocally to join Twitter and another piece of advice I really took to heart was to start a blog. I had toyed with the idea before but the Voice of Young Science media workshop really gave me the push I needed to get started. The internet is such a powerful tool, so use it! How can you get your voice heard? How can you motivate yourself when you research just isn’t working? What if academia just isn’t for you? There are loads of websites out there answering these questions, just start Googling. 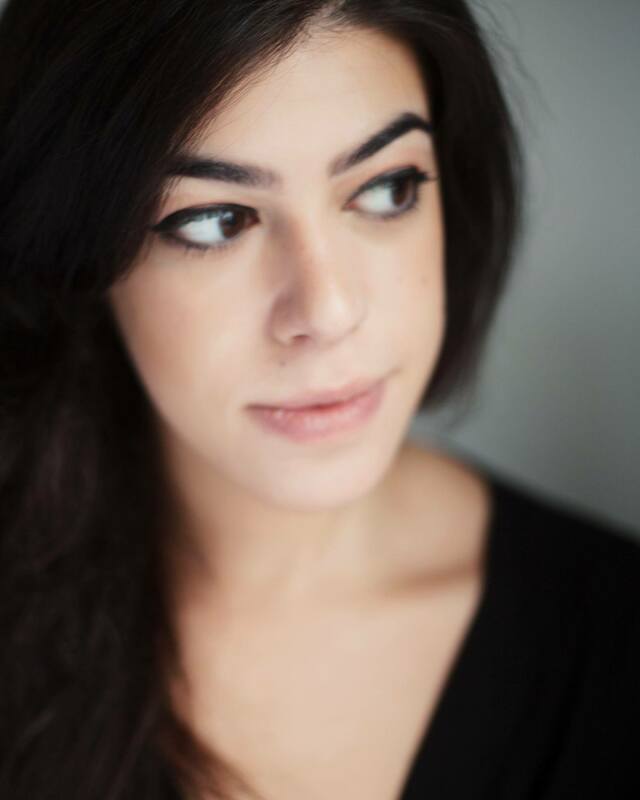 Yiota Demetriou is completing a PhD in the Department of Drama researching performative approaches of staging oral history archives and employing media such as sound art, live art, video, photography and installation. Her work facilitates a cross-fertilization between the fields of oral history, performance, philosophy, interaction design, sound art, sound engineering, memory studies, museum, curatorial and archival studies. I’m on Chapter Five – Conclusions and Findings, and I’m staring intently at the computer screen reluctant to type a word. I realise that finishing this means it is over…What are my conclusions?! What are my findings?! Instead of finishing the chapter, I get distracted with writing this… I’m tearful over my PhD and I have yet to submit it! I was warned about this from more experienced colleagues. Apparently, it is like overcoming a long and intense relationship before it’s actually over…it may also seem like giving birth and giving the child away…obviously it is not the same, but my project is my baby, my ideas are a part of me, they were nourished inside of me… Does any of this make any sense? Is this why I keep distracting myself, or keep going over and over it, because something, somewhere inside of me doesn’t want it to finish? In a way I’m delaying the process, my project is done and although it is ready to move on, I on the other hand may not be on the same page. I suppose the question to ask is: am I really not ready to move on?! Perhaps I’m scared, as I am used to being part of a rigorous educational framework that makes it difficult for me to step foot in the outside world, that isn’t academia. Obviously, it’s not over yet – I still have a final push (or several), the viva, the corrections…I’m sure there will be a few. Some days I feel exhausted, other days, I find myself in shock, how could I have possibly come up with all these words – words that actually mean something. I’ve enjoyed my PhD journey, the best years of my life. I have met like-minded people, I’ve been to places, mingled with renowned academics and learnt things that I wouldn’t have imagined learning otherwise. I do feel tired though. Self-funding a full-time PhD is not an easy process, as you have to constantly self-discipline, four or even five times more than a fully-funded PhD for time management. This of course depends on the person, and it is heightened if you are like myself, fully involved in a range of projects simultaneously (outside the PhD); self-discipline and time management are crucial qualities. However, these are valuable skills definitely worth developing and attaining for any context. I certainly won’t miss the state of confusion when entering the outside world that follows consecutive days of being locked-in studying and writing. Nevertheless, I’m not the only one, and it is good to meet with other people in the same boat, even if they are not from the same field and support each other, through the process. Most importantly, it is inspiring to see female academics and other fellow PhDers, who are further into the PhD journey, studying for their doctorate alongside being in full-time employment and with children. Our supervisors, along with the whole department, and our PGR Theatre group, have been supportive all the way. And even though I need to catch a breath and I’m due to embark on an additional journey of stress and anxiety about what I am going to do next with my life, in general, the exhaustion was worth it! I worked hard, in a few jobs, to fund myself through it; I did this for myself so I have no complaints or regrets, I enjoyed every minute of it and I thank those who have helped me through it. Hopefully this will not form part of my acknowledgments in the actual thesis, but I appreciate all the help that has been given to me: From my friend that gave me a place to stay when I arrived to Bristol as a stranger, on the 5th Dec 2011; to the middle-aged guy who gave me a temporary job at the kebab shop until I got on my feet; my supervisor that took care of my sanity and kept pushing me to expand my ideas as well as keeping me from distracting myself, (which I am doing now, I’m sorry Paul); to the head of our department who has been supporting us all the way; to the amazing PGRT community and friends (most of whom have moved on now) that welcomed and gave me an insight into how things work; and to friends and family who have dealt with my frequent work-related mood swings and tantrums. Bear with me a little longer, I have a final submission date, I’m nearly there!